Reach college students all across the USA! 100Colleges.com is The World's Most Affordable Way to Promote Your Business on College Campuses! Our distributors will actually print and hand out YOUR flyers -OR- you can sponsor OUR flyers for even more savings. Sponsor our flyers for as little as $5! Your advertisement on our awesome college flyers. 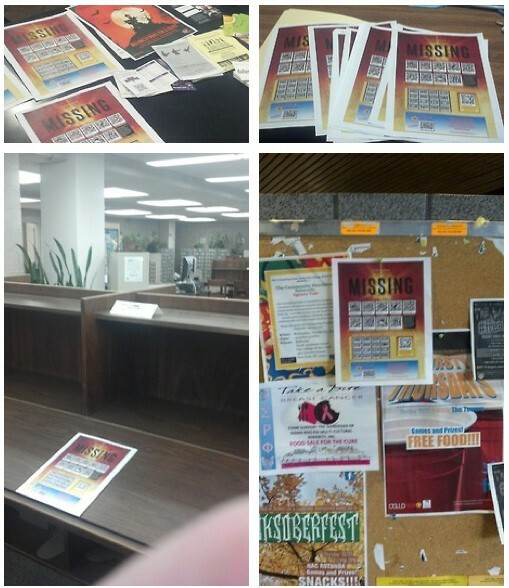 Distribution at 3 campuses (25 flyers per campus). A custom QR code used to send people to your website, facebook or blog. A LIFETIME sponsorship on our wicked mobile website. 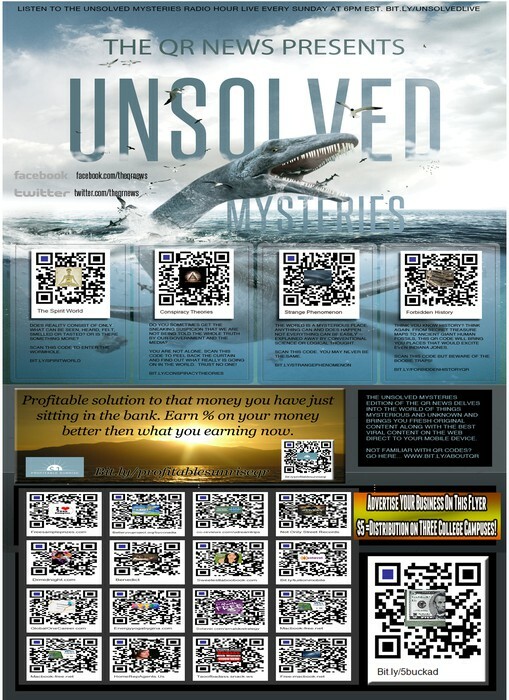 TheQRNews (This is where people come to when they scan the QR codes on the flyers). FREE Promotion to our 2,000+ loyal Facebook and Twitter followers. 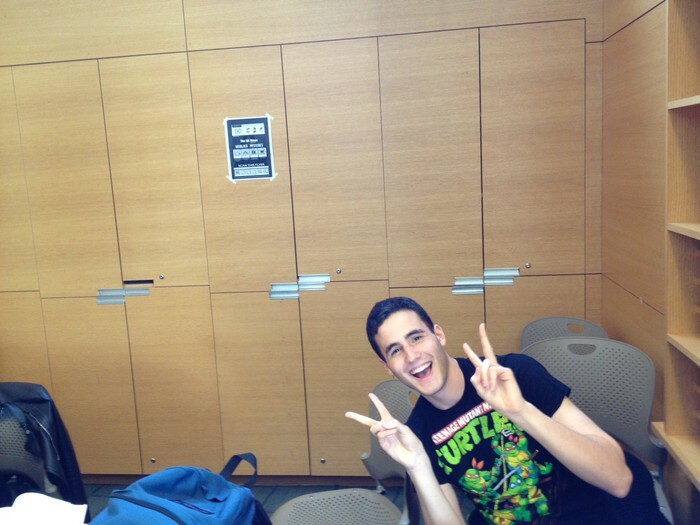 Get your flyers distributed on over 100 college campuses. Choose the schools-OR- blast them all. Fun,Easy,Effective & CHEAP! Sponsor of Our Flyers for $5! We hand pick our distributors to insure the highest quality for your flyers. 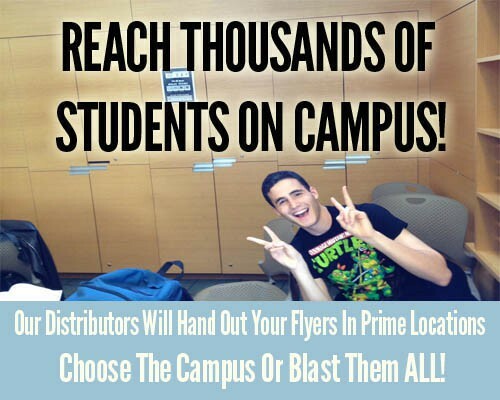 Our distributors each provide pictures of your flyers on campus. If you are not 100% satisfied with your order we will give you a refund. No Questions Asked. 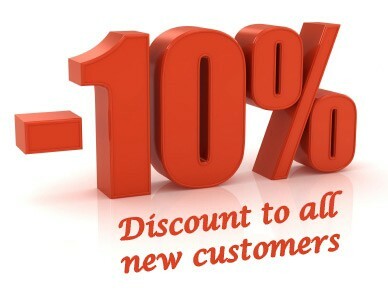 Receive a 10% discount on all of our services! Hurry because this won't last long. 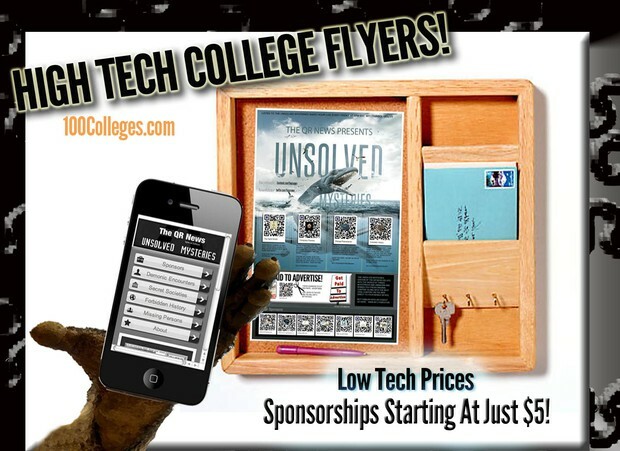 100Colleges.com/ WE DO COLLEGE FLYERS! Over 500 Happy Clients and Growing! Excellent! Will be reordering. Thanks! thank you... will do business w you again. Delivered on time and everything stated was completed, great service, will most likely use again in the future! Thank you!